All kids just adore play food; I have 5 kids and really I should know! There is some fantastic handmade play food out there that the plastic store bought versions just can’t compare to. A few weeks back, I got the play food bug, when I needle felted my first fruit, an apple. Ever since, I have been sketching designs for more play food ideas. 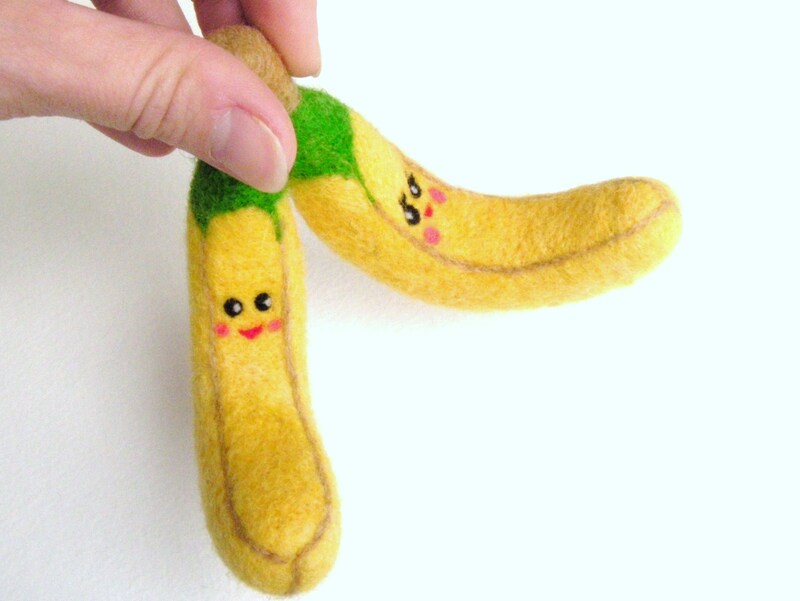 So far, I have managed to bring to life my sketch of the”bananas in love“. So cute. I’m a newbie at making play food; and to honor those who have come before me, I will share a few adorable handmade play foods that I found at Etsy. Drumroll . . .
First things first, the tried and true wooden play foods. These types of play food really stand up to rigorous play and are sure to last through many children. 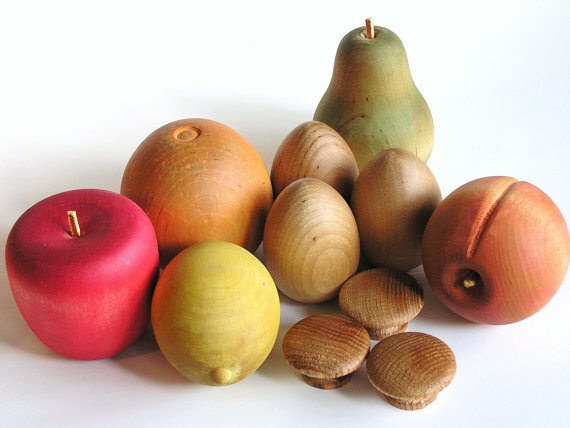 I came across this fantastic wooden set at applenamos. 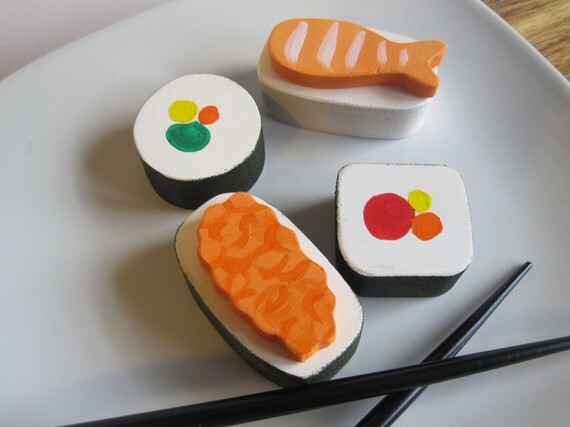 This wooden sushi set from Imagination Kids won me over with the addition of chopsticks. My kids love eating with chopsticks(or at least trying to)! 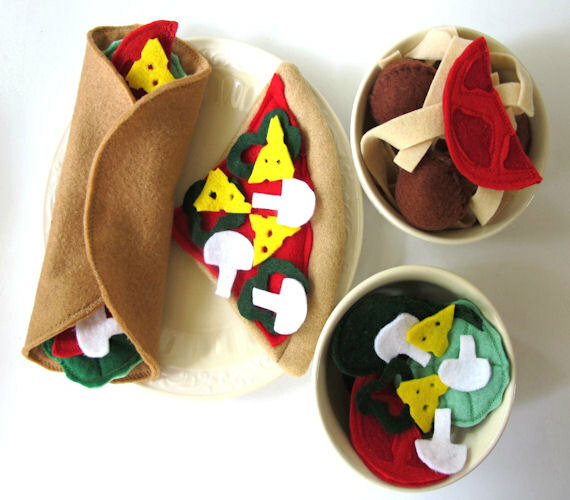 Mels Creative Wishes did a fantastic job on this felt play food set. Felt is so soft and this set is very versatile with all the little pieces. Your kids can make a “spaghetti pizza” if they want. amigurumi toys are. This first one is a PDF tutorial by anapaulaoli. 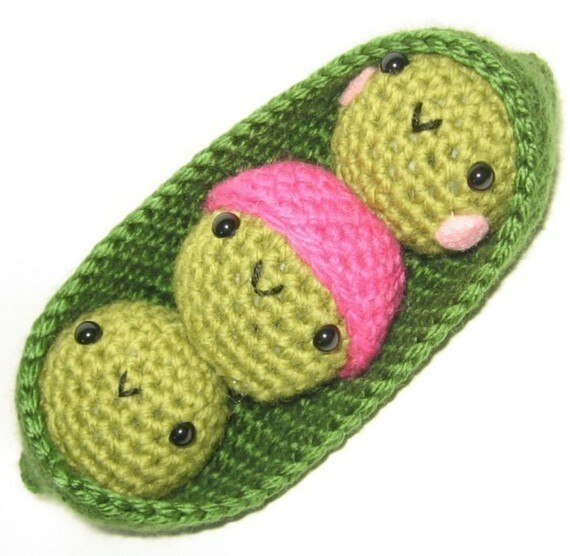 How cute are those little peas all squished into that one pod. Wait for it, a happy smiling “Pizza Pizza” by necessarynonsense. 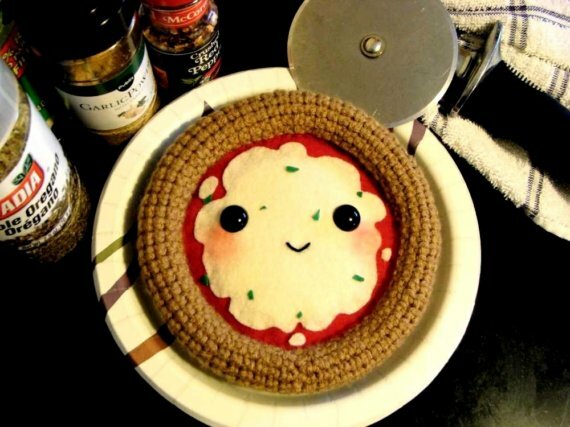 I love the textures on this pizza–felt, yarn, and big plastic eyes. I’m starting to get a little hungry! And last, but not least. The “Screamallows” by StitchyKitty. These are just too cute. Seriously, the picture speaks for itself. But I suppose I must say something, so here it goes. 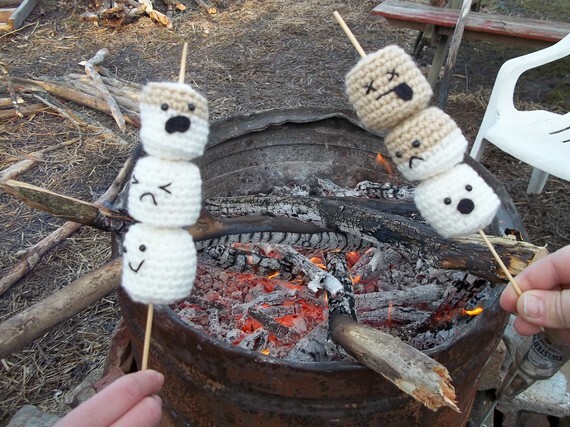 As play food goes, this is so inventive and fun. Kid’s just love things that spook them out. No really, they do. If you don’t believe me, swing on over to StitchKitty and show your kids; they will laugh hysterically and beg you to get them. Mine did! When it’s time to restock the play kitchen, please consider these talented people. Visit their shops and browse around, I only showed a handful of what is out there in the internet world! Now, I’m feeling quite inspired to continue working on my play food creations. Thanks everyone!